Admittedly, I’m not a fan of red. I’m much more of a pink and purple kinda gal. And for the holidays, the decorations I’m drawn to embody that pretty palette: lilac and pear green or turquoise and apple green Christmas balls; a glittery faux silver eucalyptus wreath; hot pink or apple green bows on doorknobs; white twinkly lights; and someday, my cotton candy pink Christmas tree! 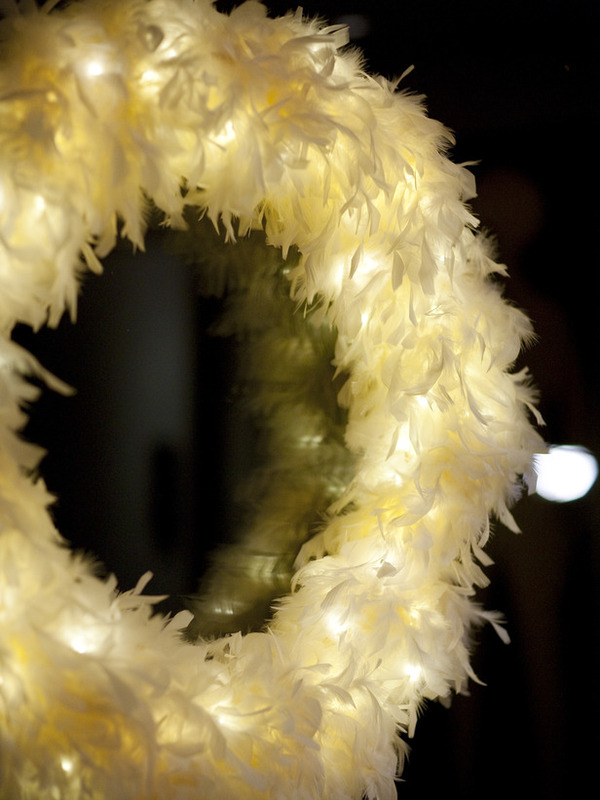 Last year I intended to make this easy-peasy feather boa wreath from Sarah Richardson’s 2009 holiday party episode. I even stocked up on five fuchsia feather boas post-Halloween! But I got lazy with the execution, which in reality consists only of wrapping a boa or two around an LED wire wreath form. 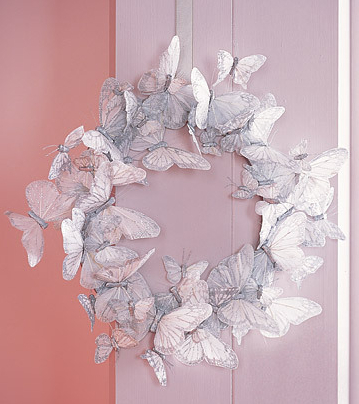 Maybe I’m just too frugal to buy an LED wreath – I have been trying to figure out how to repurpose an old wire hanger as a wreath form. And now that it’s only 6 days till Christmas, I’ve given up on this crafty pursuit…maybe next year! 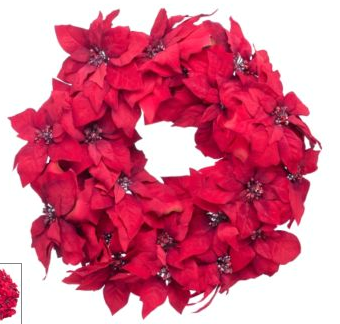 However, it should be a surprise that I LOVE this 24-inch red poinsettia wreath ($39.99) from Canadian Tire. That’s right. I said it: red. Sure, it’s got traditional red poinsettias scattered all over it (plush velvet, natch), but it also has loads of baubles that resemble rhinestone brooches! 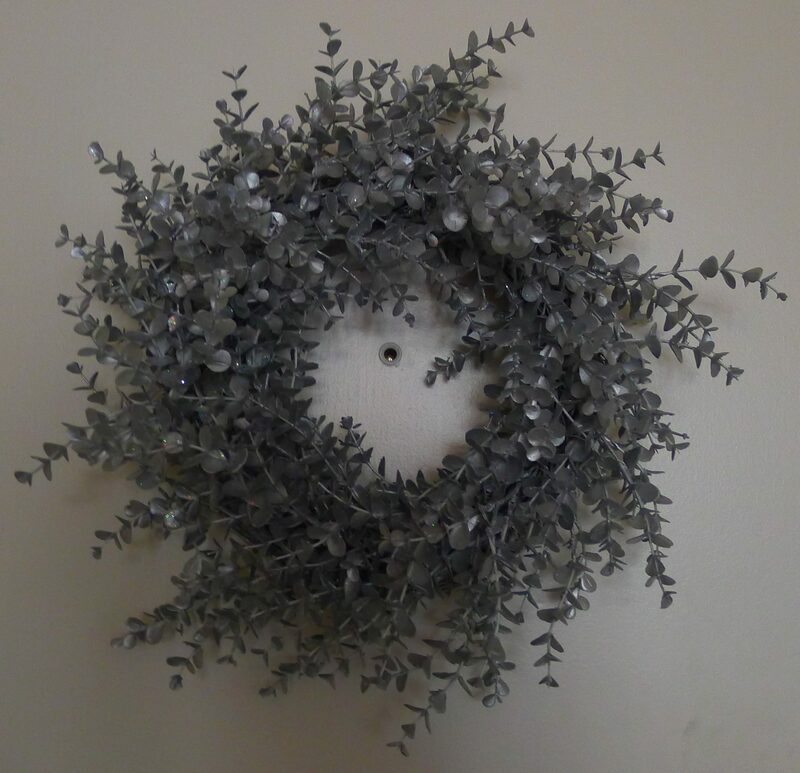 Behold, here is my existing wreath, the silvery eucalyptus beauty mentioned above. The photo doesn’t quite capture the glitter scattered all over the sprigs, but this wreath sparkles. And makes me smile! 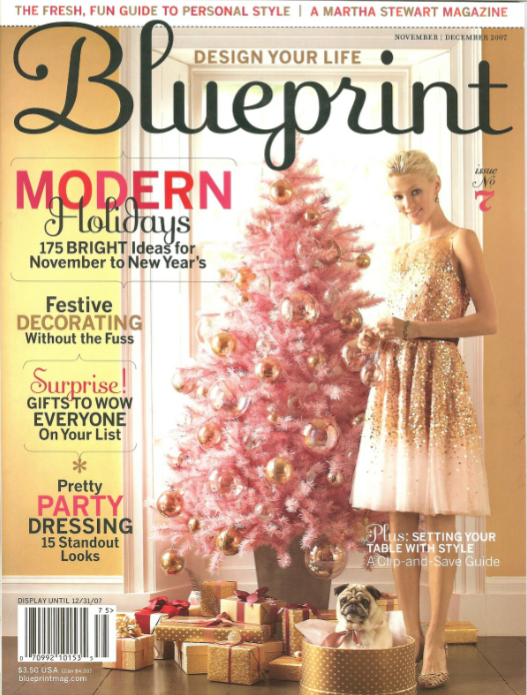 For more holiday inspiration, take a peek at my crafty card idea and the Christmas tree I’ve been coveting since 2007.